Book your tickets and one of our fab hotels near the Tower of London in a single, handy package with SuperBreak here. Simply select your travel dates from the calendar above, and pick one of our Tower of London hotel deals on the next page, and make a break of your next trip to the capital! 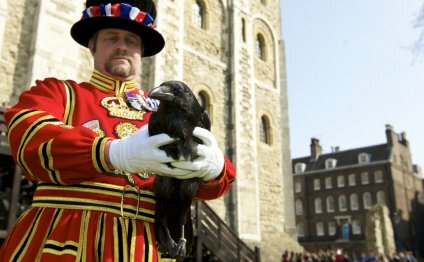 Home to the Crown Jewels, the infamous Ravens and the iconic Beefeaters, the Tower of London is a must see on your short break in London. Dating back to the days of William the Conqueror, the Tower of London is brimming with a rich history. From the Royal Armouries collection, with an array of armours and weapons, to the green where Anne Boleyn was executed there is plenty to discover. Booking Tower of London tickets with hotels near the Tower of London, you can explore all the Tower has to offer at your leisure. Find out about the most famous captives, including Guy Fawkes, the Bishop of Durham, Sir Walter Raleigh and Sir Thomas Moore, and discover all about the animals that use to reside at the Royal Menagerie and the sad tale of the lost princes in the Bloody Tower. Before you leave, don't forget to spend some time viewing the remarkable Crown Jewels, including crowns, orbs, swords and robes. An incredible, family-friendly London attraction that’s as popular as ever, pre-booking your tickets for the Tower of London makes perfect sense. Plus, with a fantastic selection of hotels near the Tower of London to choose from you can rest assured that your accommodation is taken care of and enjoy the day out! Walk the historic walls, take in the views, or join one of the famous Yeoman Warder tours. Nearest station: Tower Hill underground station. Use District or Circle lines to Tower Hill station. Follow directional signage to the Tower. The main entrance is a five minute walk from the station. Activity trails are free and provide great family entertainment. You can pick them up from the Welcome Centre. The Tower of London was originally built as a royal palace and a defence system against the enemy. Shadwell DLR station on the Docklands Light Railway is between the terminals of Bank and Tower Gateway to the west and Limehouse to the east. The 1991 Bank extension joins the main DLR line just to the west of Shadwell.